Anthony Fitzgerald is 57 years old, the proprietor of a small business and a Sloan Fellow of the London Business School. He has lived in Wiclow for the past 21 years. 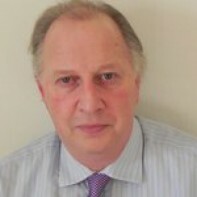 Fitzgerald previously worked in the bloodstock business and then in the city of London in the Lloyds Insurance market. He is contesting his first election. Renegotiation of the EU/IMF interest rate, to sustainable and affordable rates. Fitzgerald is a fan of Talking Heads and Pink Floyd.